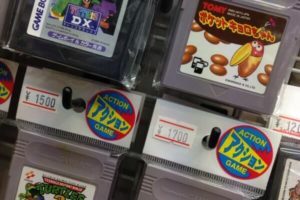 We introduce you Super Potato, a retro game store where you can play games that marked your childhood. 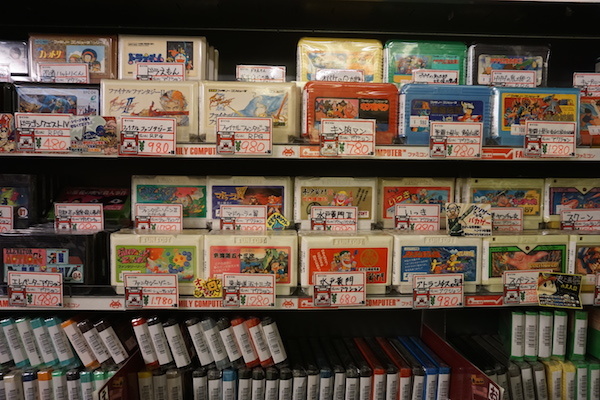 Remember your childhood surrounded by nostalgic games in Super Potato Akihabara. 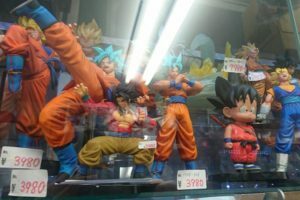 The store is so overflowing with foreigners, you won’t believe you are in Japan. Nostalgic games are on 3rd, 4th and 5th floor! 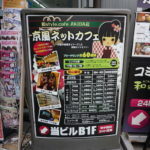 This store is located on 3rd, 4th and 5th floor of a building in a side street, leading away from the main street in Akihabara. 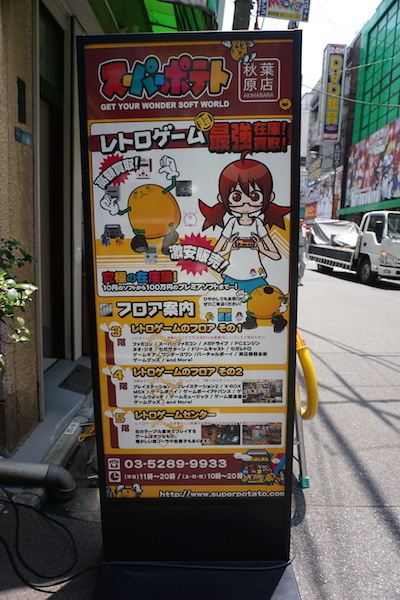 Their American style mascot in a shape of potato is easily visible as soon as you enter the street. 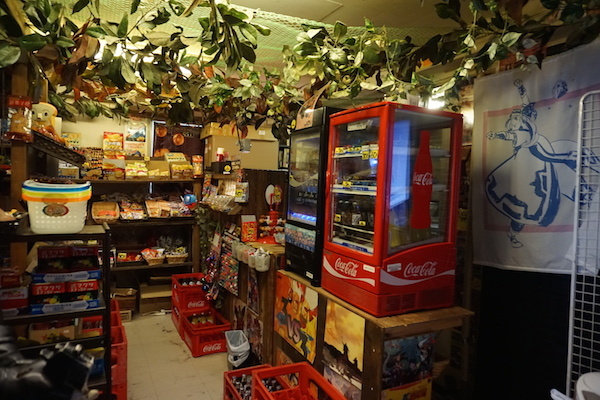 You can even buy Super Potato products at the store. There are also Super Potato T-shirts which are perfect for a souvenir. 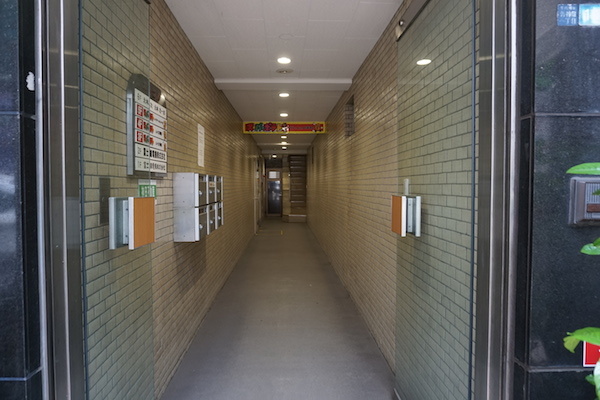 There are three floors (3rd, 4th and 5th floor of the building). 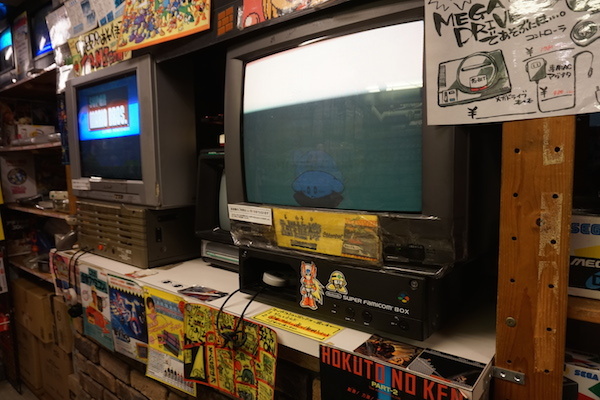 On the 3rd floor, you can find 1980〜90s video games, while the 4th floor is reserved for games from the late 1990s and 2000s. 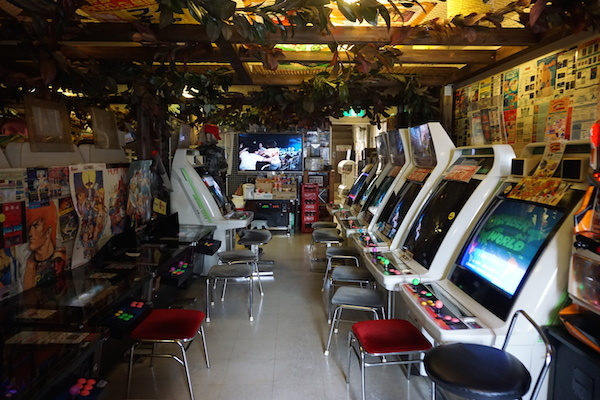 The 5th floor is like a portal through the time where you can enjoy the nostalgic atmosphere surrounded by old arcade games. There is even a candy corner for children! Great for Mario Fans! Mario is everywhere! 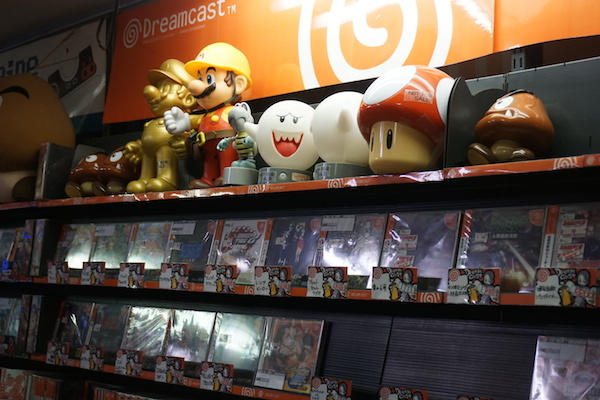 Game character illustrations and signboards of different game companies are displayed throughout the store. 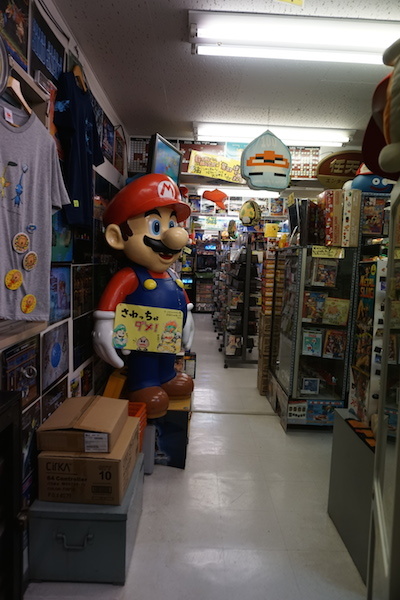 It is a really exciting place for game enthusiasts. 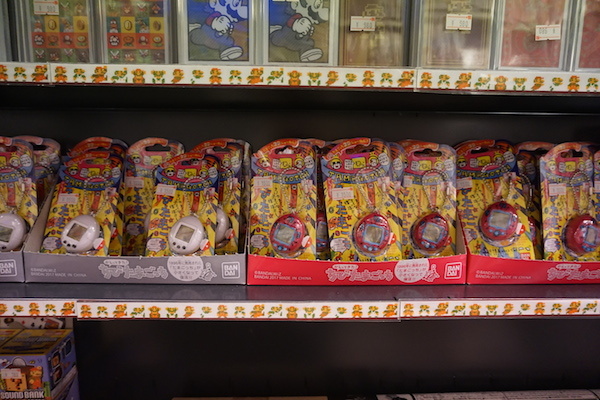 As we mentioned, there were many game consoles, but we were really surprised at the number of game software they offer. 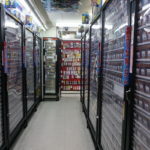 You can definitely find many rare games here. 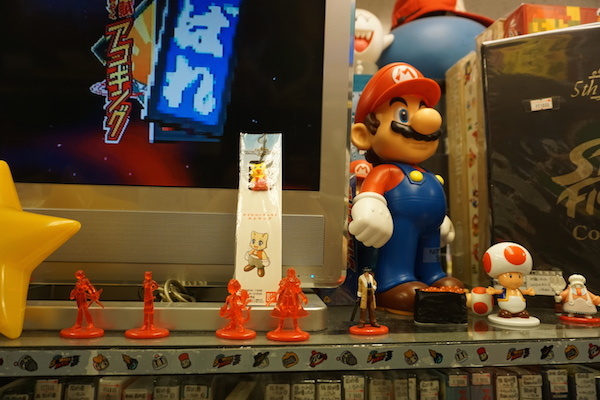 We saw many products featuring our Super Star – Mr. Mario. 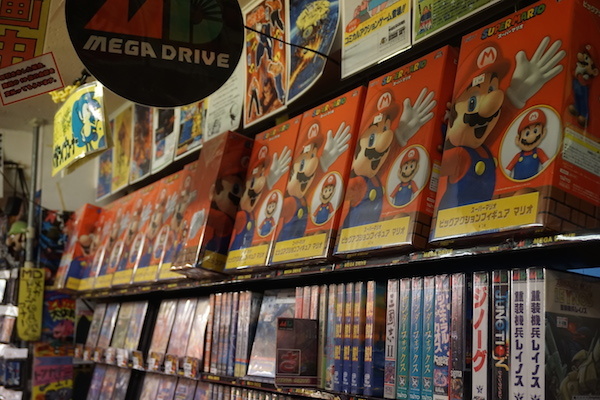 We were especially excited to see a big Mario doll on the 4th floor. 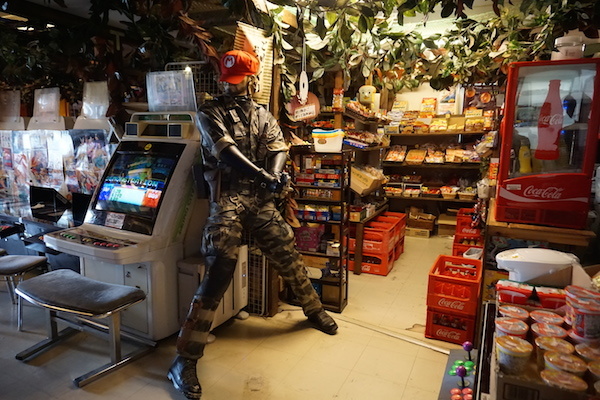 He will welcome you with a huge smile but be careful – customers are not allowed to touch him. 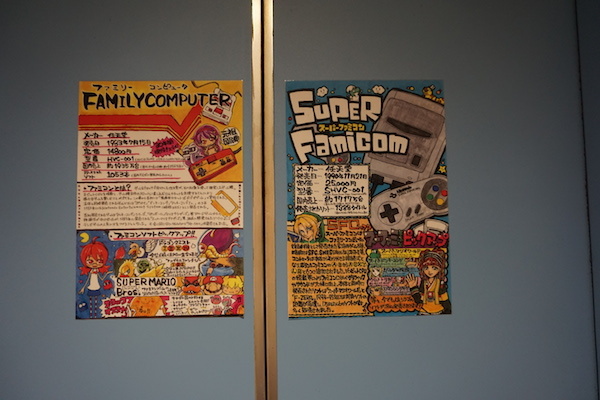 The retro game experience corner is also very exciting! 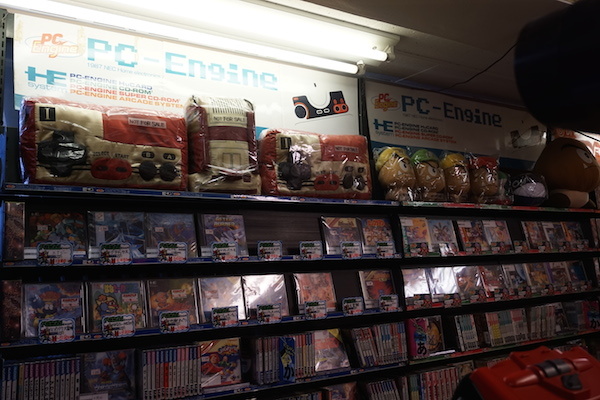 Not only do they sell game consoles but they also provide a retro game experience corner. It is a dream spot where you can experience the technical advance and the fast game development. It must be fun to play while reliving your childhood memories. 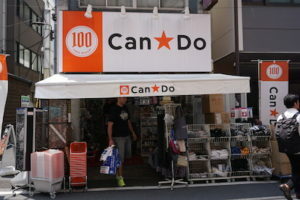 How about you approach this store the same way you would your old, childhood friend? You can have fun without buying any games! 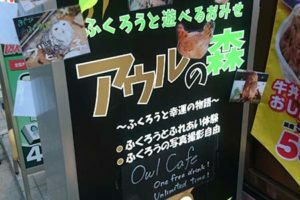 It is the perfect place for game lovers. 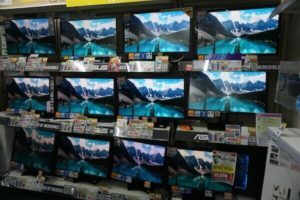 You will probably want to buy everything you see, but you can enjoy yourself enough by only playing games in the store. 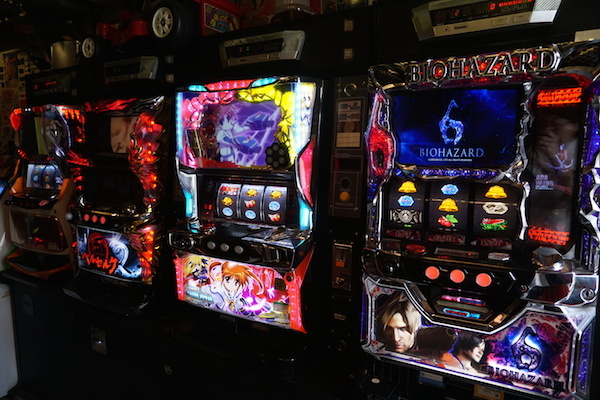 Even if you are not interested in games, it can be interesting to see the development of gaming.